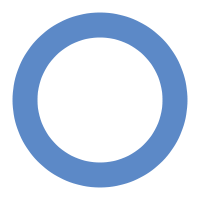 Diabetes is a group of metabolic diseases that are characterized by a high concentration of glucose in the bloodstream. Glucose is a common monomer of carbohydrates that exists in many foods, including bread, pasta, rice, fruits, vegetables, and refined sugar. It provides the fuel for the cells of our bodies to function. For a variety of reasons that distinguish the different types of diabetes, diabetics cannot absorb glucose normally, leaving an excess of glucose in the bloodstream. Diabetes leads to many health problems, like kidney failure, blindness, heart attacks and strokes. Why Does Diabetes Cause Excessive Urination and Thirst? Two common symptoms for all diabetics are frequent urination (polyuria) and increased thirst (polydipsia). A fundamental but interesting chemical question arises: Why does a high concentration of glucose in the bloodstream cause excessive urination and thirst? It turns out that a basic understanding of osmosis helps to understand this connection. Osmosis is the net movement of solvent molecules in a solution with a semi-permeable membrane from a region with a higher proportion of the solvent to the region with a lower proportion of solvent. 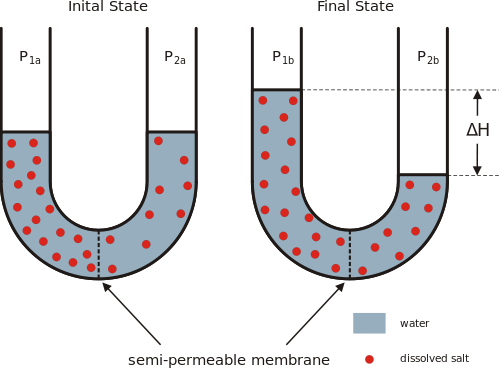 Essentially, the solvent molecules will diffuse so that the two sides of the semi-permeable membrane have the same proportion of solvent. Equivalently, the solvent molecules will diffuse from the side with the lower concentration of solutes to the side with the higher concentration of solutes until the solute concentration is the same across both sides. In chemistry and in many biological systems, the most common solvent is water. In biology, osmosis occurs all the time across the walls of our cells, with our cell membranes being the semi-permeable membranes. In the case of diabetes, the solvent is water, and the solute of interest is glucose. Diabetics have high blood glucose, and, since it is not absorbed by the cells of the body, it eventually goes to the kidneys. Some of it diffuses into the urine and is excreted, which causes the sweet smell/taste of urine from diabetics. (In fact, Loren told us that tasting urine for sweetness is a former method of diagnosis of diabetes.) Since the urine becomes more concentrated with glucose, water leaves the bloodstream and diffuses into the urine, and this leads to more frequent urination. Of course, since the bloodstream is more concentrated with solutes, it now lacks water, and this leads to increased thirst.